Warren Kimble lighthouse wallies wallpaper cutouts. Pre-pasted, vinyl coated cutouts.-Decorate walls, glass, wood, paper and more.-Just wet the back and put them up.-Easy to apply or remove and won't harm walls.-Acid and lignin free.-Washable. 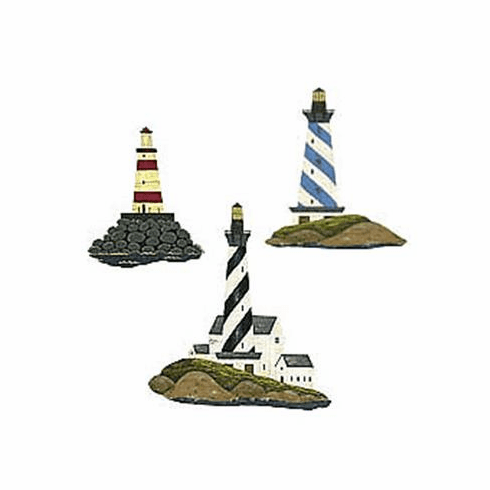 Specifications: -Each package is value packed with 25 individual cutouts in 3 styles of lighthouses 6'' by 6.75''.